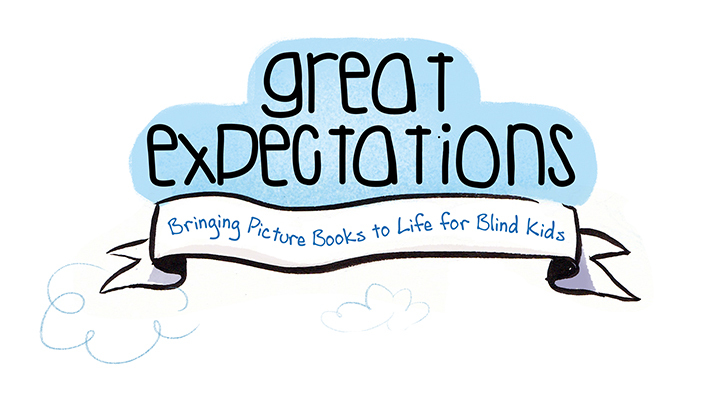 I have found that although some of the activities as specific to students with visual impairments (activities focused on reading braille and using cane), most of the resources on the website can be used for all children. After all, “songs, tactile play, picture descriptions, body movement, engaged listening” are used by effective teachers and therapists across disciplines. The website has a list of featured books that they provide resources for. 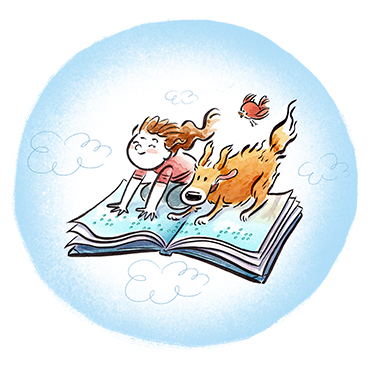 Each title comes with a list of tips and activities you can use when teaching the text. You can also purchase the book in braille through the site. 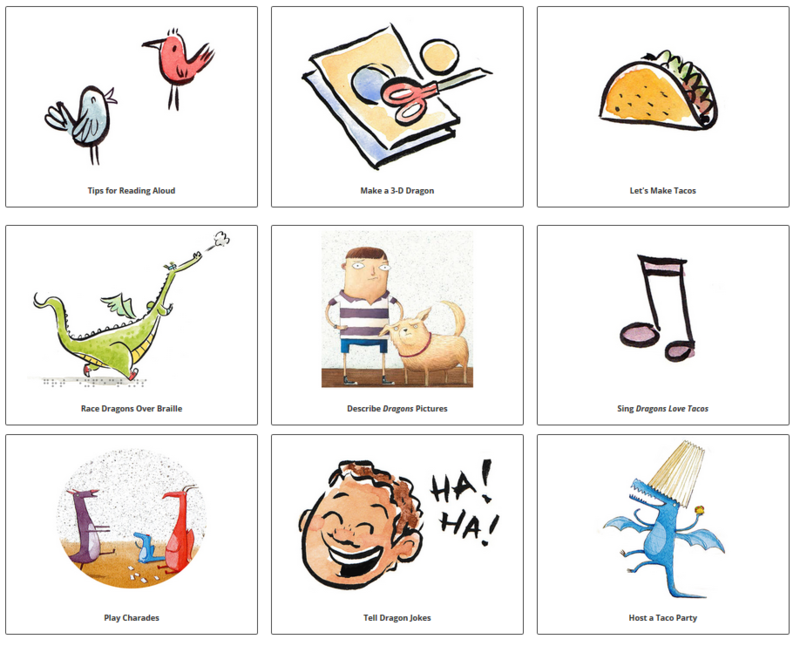 The resources for each book include descriptions of the pictures. This is great for students with visual impairments, but is also a good resource for teachers who are learning how to use the descriptive teaching model to instruct students using AAC. 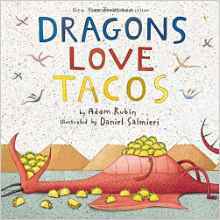 Thanks to this website, I have fallen in love with the book “Dragons Love Tacos“. If you have a copy of the book, I am happy to share my adapted, high contrast, PowerPoint version and my PowerPoint for the song. Just send me an email or message me through Facebook or Twitter with proof that you own the book. I hope you enjoy this resource as much as I do.